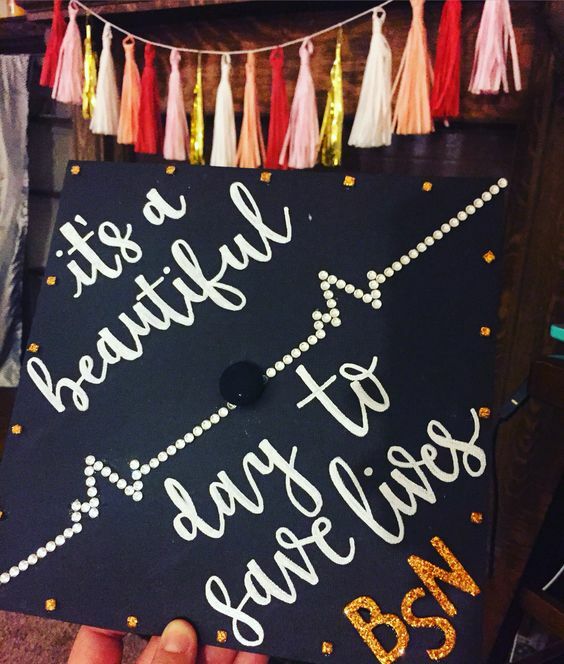 Nursing Graduation Cap Decorations to Inspire Student Nurses! 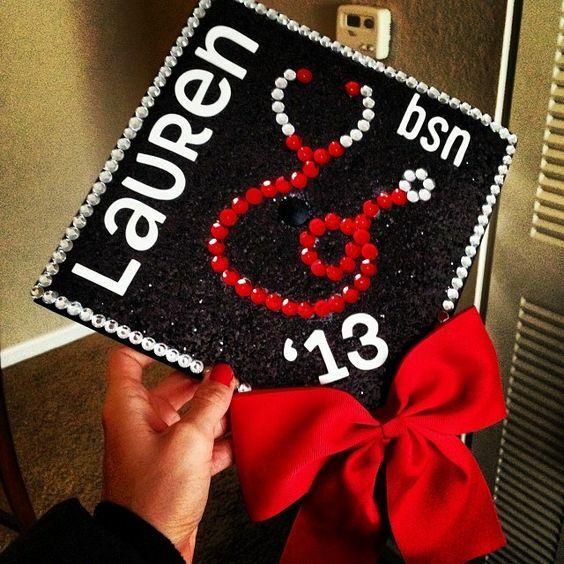 These nursing graduation cap decorations come from student nurses such as yourself. The biological sciences are hard! You already took your finals, so the hard part should be over. To get a good grade is enough work. Why not put your feet up and let us help you plan your graduation day? 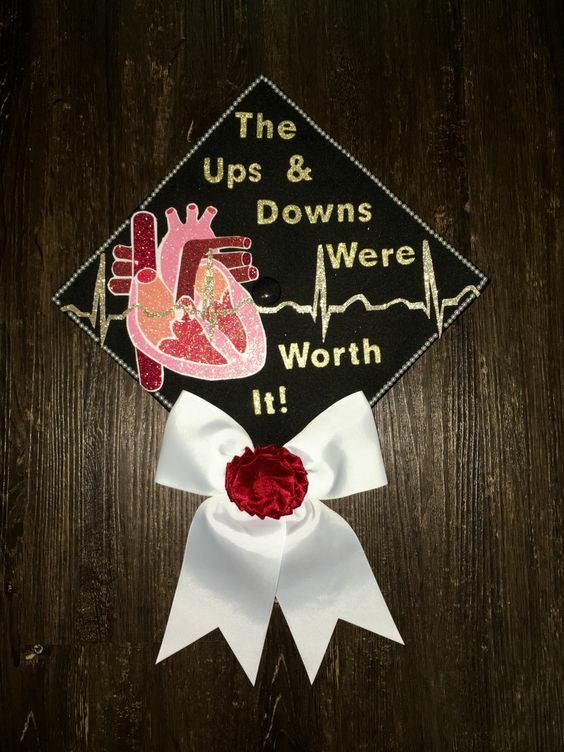 1: A beating heart can help attest to how much your blood pressure went up during finals. 2: Anything in shiny pink can never do wrong. Heart monitor front and center lets people know you mean business. 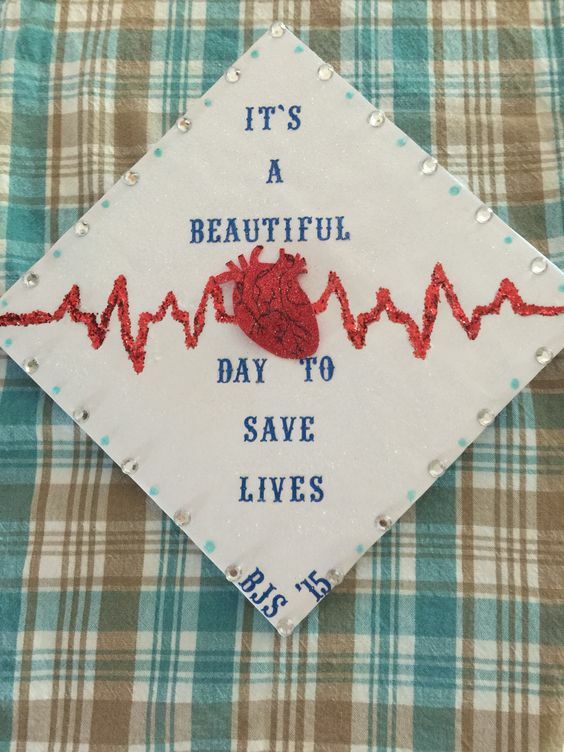 3: Inspired by Grey’s Anatomy, the quote looks great on top of your head! 4: A recurring and popular theme, and the heart monitor in the center. The flowers are a nice touch! 5: This may yet be the most beautiful one on the internet. 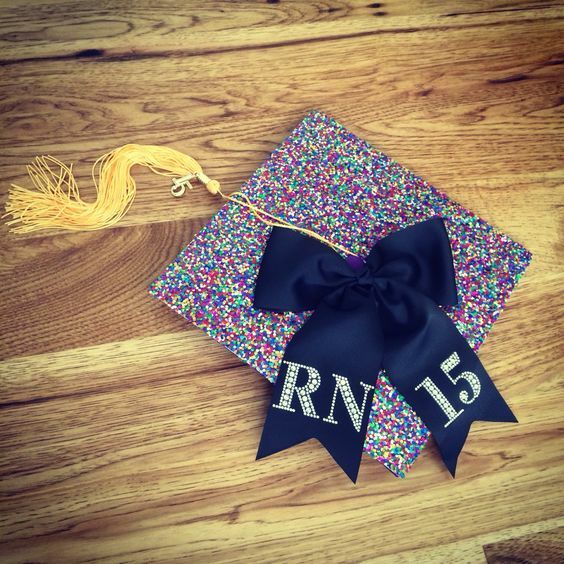 It looks like tiny nerds candies throughout your graduation cap. 6: You can’t say this example is not neat. Perfect outline. The gold is a nice touch and looks amazing, when everyone else is wearing a black cap! 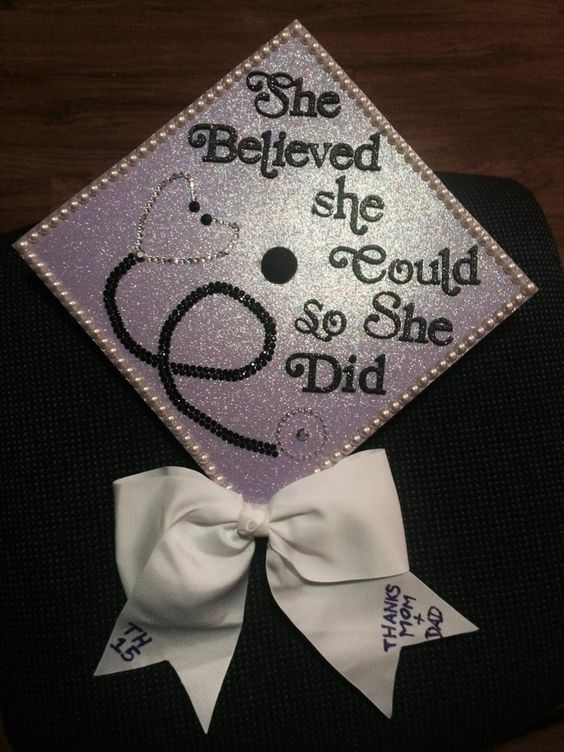 7: Another shimmering outline, with beads or rhinestones outlining a stethoscope in the center. Put your name on there to make sure nobody forgets! 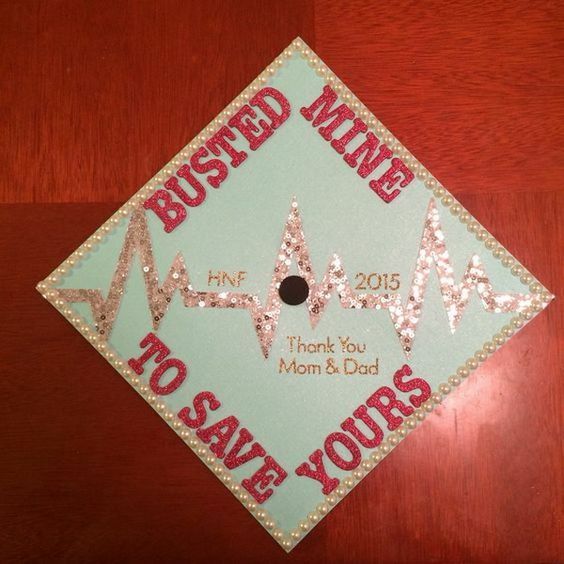 8: The nurse-in-training here put some band-aids on the graduation cap as an added feature. 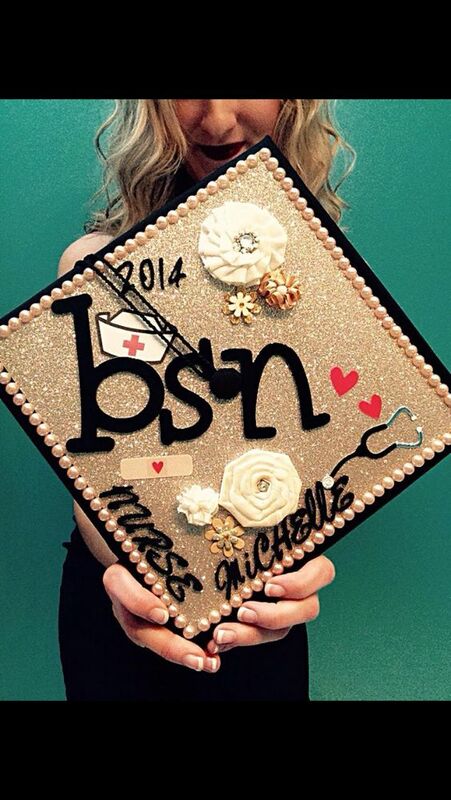 The tiny nurse hat is quite a cute and interesting touch. 9: Here we have a simple outline on a white background and red features. This will stand out when your classmates are wearing black caps! 10: And a last one that really takes the cake. 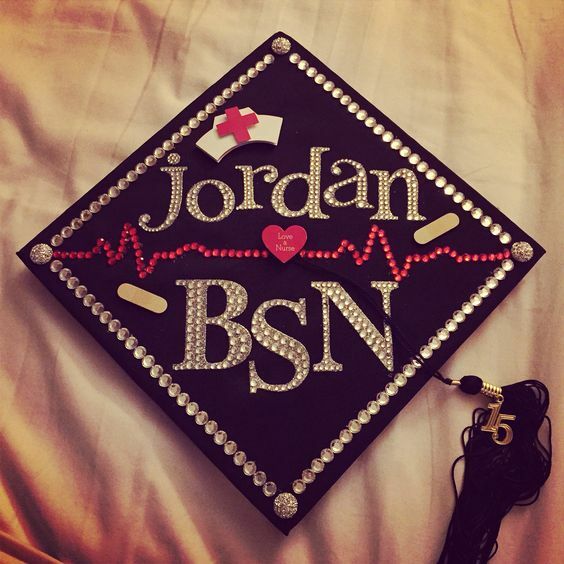 A shimmering pearl background with pearl outline and a stethoscope out of rhinestones. You will want to keep this one! We hope you find inspiration from this collection. For all you students of nursing, your unrivaled commitment to the health and wellness of society is telling of your altruism. Kudos! 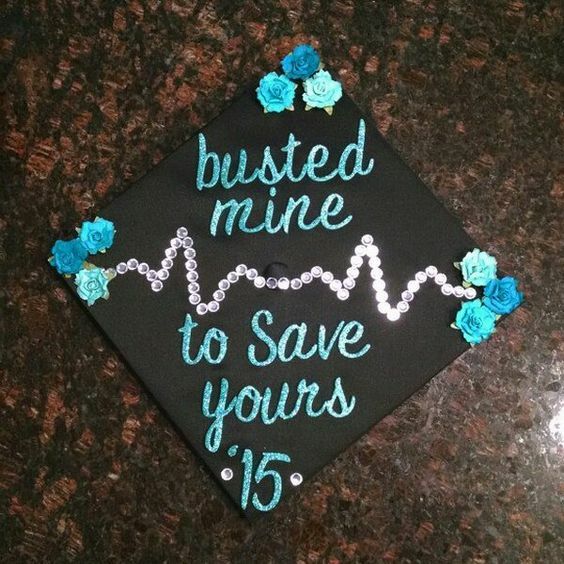 Give your friends some ideas for their graduation caps by sharing this post!